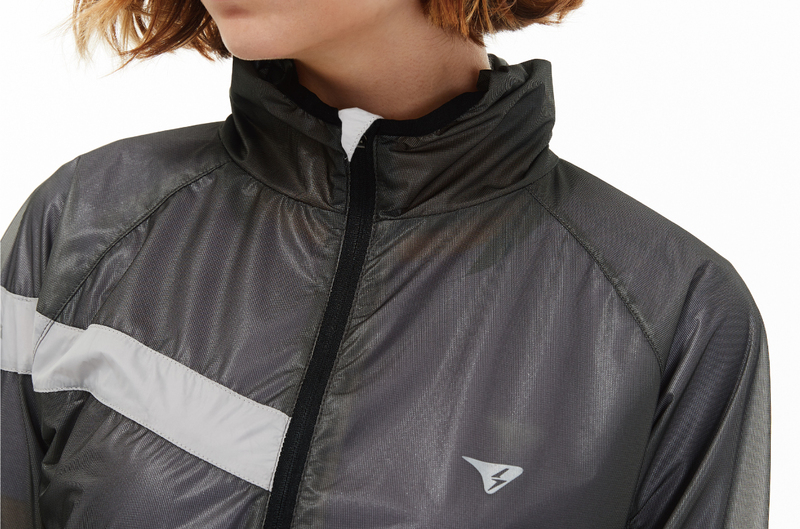 An outer layer made of lightweight tricot material, windstopper waterproof and breathable, easy carry and storage. 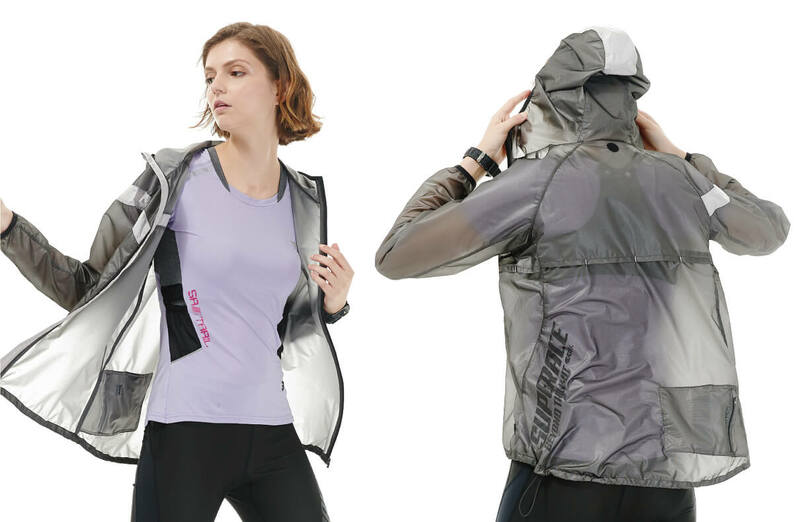 Effectively protect while weather changes. 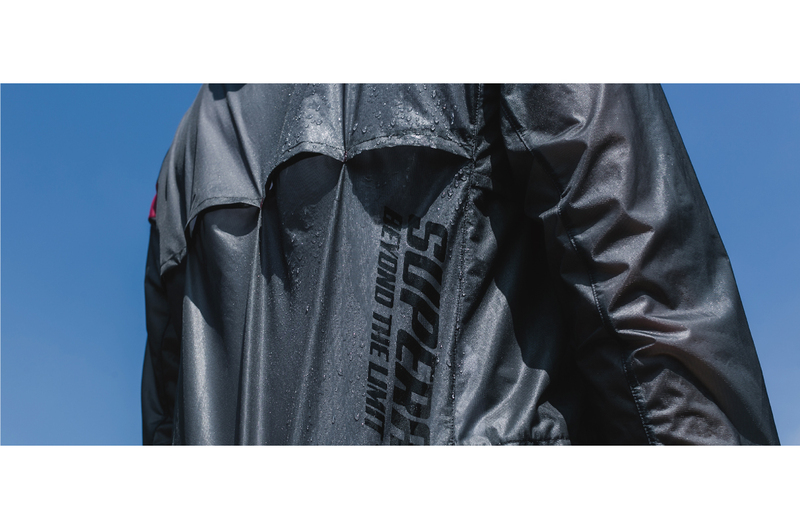 Double-layer PU fabric, its elasticity is good, light and high, using high-tech technology to introduce hydrophilic agent into the material, so that in addition to high waterproof performance, the film has excellent moisture permeability. 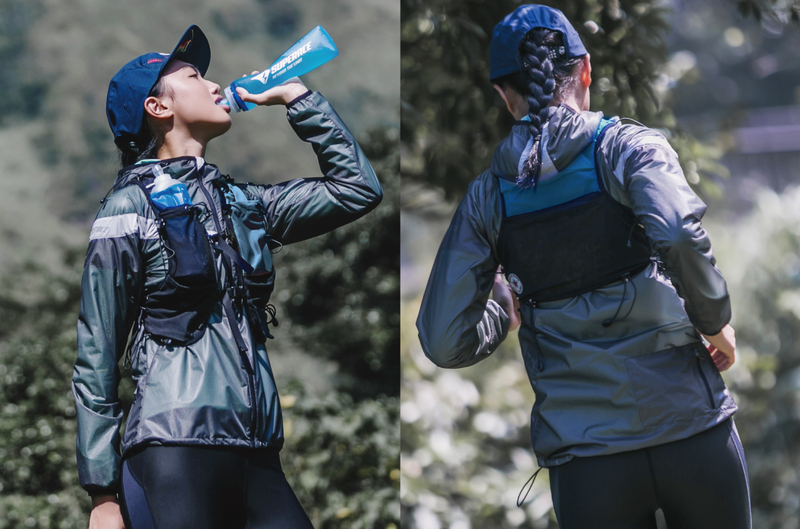 Combined with the venting holes of rear body and under the sleeves, effectively helping the body to release heat and moisture, keep it comfortable and dry. 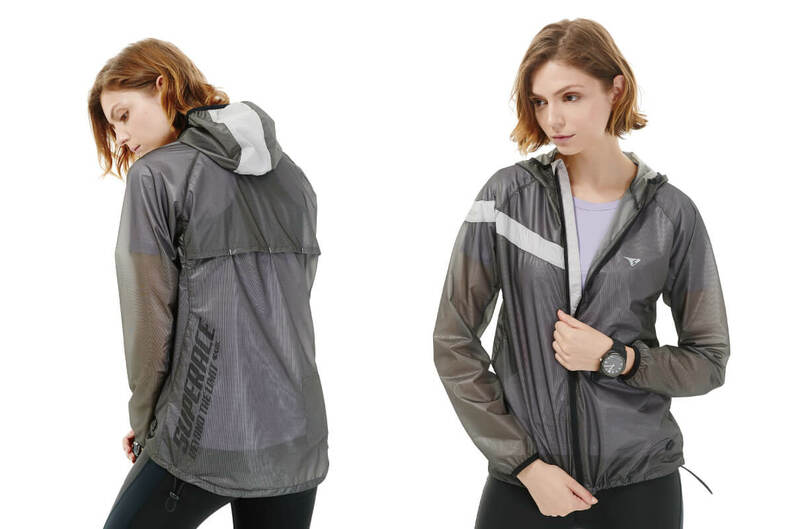 The item is designed with light-transparent fabric effect, simple and slim cutting line. A side-body inserting back zipped pocket, can be easily pulled up and down with one hand. The gravity of pocket move from front to back, slow down the amplitude of the shaking, greatly reduce the resistance. 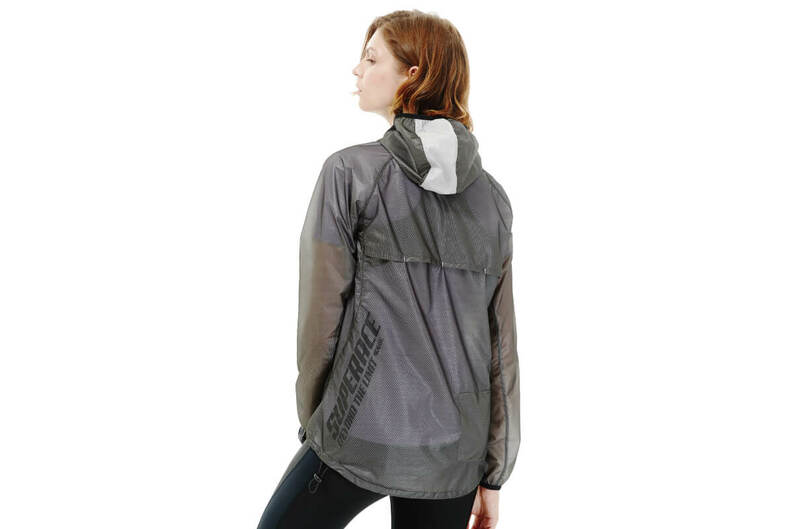 * The hoodie can be reverse roll-up and fixed into a collar design, reduce the hoodie swing while running. 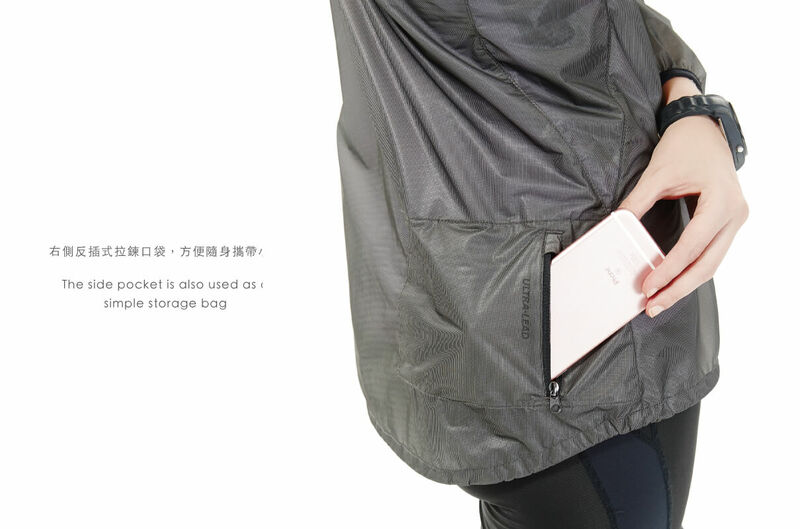 * The side pocket is also used as a simple storage bag, which can be directly stored in the reverse direction. 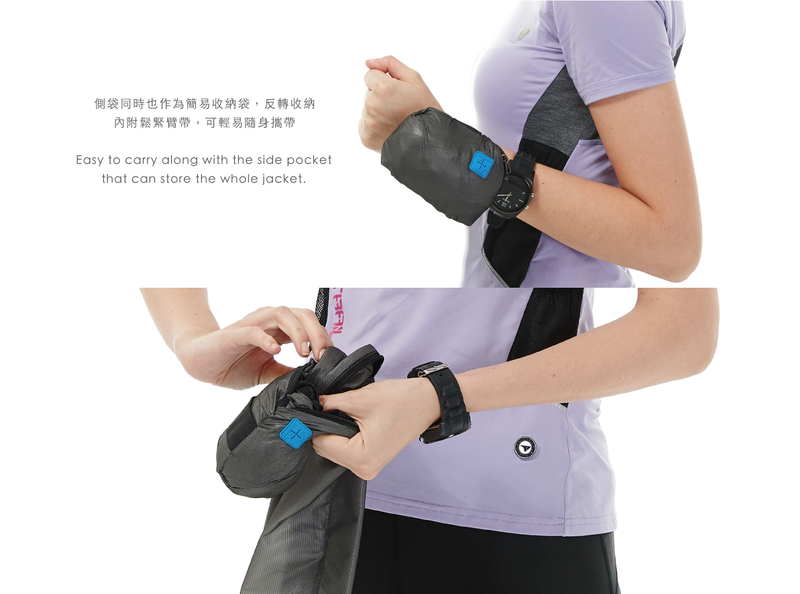 It is equipped with an elastic armband, which is convenient and suitable for carrying around. * 3M reflective trims and details help for safety. 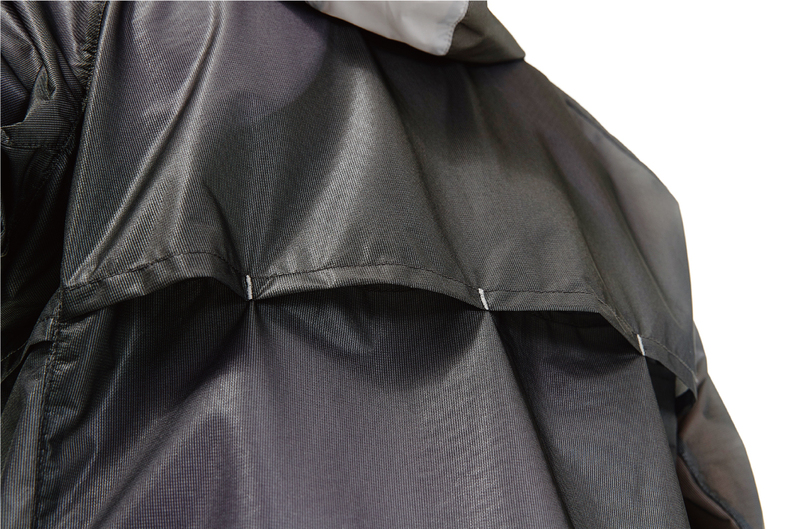 * Hem with adjusted elastic drawstrings.